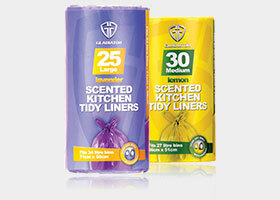 Gladiator® Scented Kitchen Tidy Liners are available in Lemon & Lavender scents that help control odours in and around the home. With easy tie handles, Gladiator® Scented Kitchen Tidy Liners are the ideal solution for cleaning up all household rubbish. Range includes: Medium 30pk & Large 25pk (Mixed Lemon & Lavender). 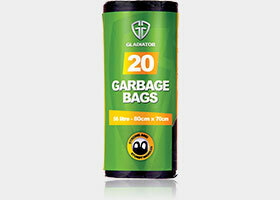 Gladiator® Garbage Bags with Handles are extra wide and come with strong and sturdy handles. Ideal for household and garden rubbish, Gladiator® Garbage Bags with Handles holds up to 56 litres and can be conveniently tied and disposed of with ease. 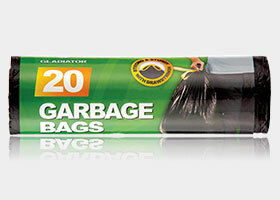 Range includes: Garbage Bags with Handles 20pk (80cm x 70cm). 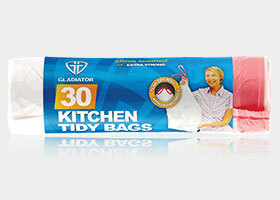 Gladiator®Kitchen Tidy Bags can be easily disposed of and hold up to 35 litres. Range includes: Kitchen Tidy Bags with Drawstrings 30pk (75cm x 58cm). household and garden rubbish. 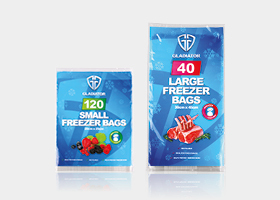 Extra wide, strong and sturdy, Gladiator® Garbage Bags with Drawstrings hold up to 56 litres and can be conveniently tied and disposed of with ease. Range includes: Garbage Bags with Drawstrings 20pk (80cm x 70cm). long neck ties for your convenience. . Range includes: Large 40pk (30 x 45cm) & Small 120pk (20 x 25cm). healthy all the time and save time on washing up. 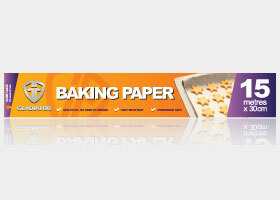 Range includes: Baking Paper 15m x 30cm. Gladiator® disposable Foil Trays will save you the time and effort of having to soak and scrub traditional pans. Made from recyclable material, Gladiator® Foil Trays are oven friendly, reinforced with a wire frame and are supported with easy grip handles for that extra strength. 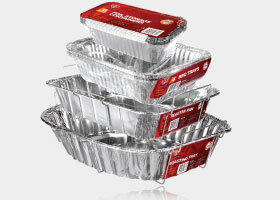 Range includes: Roasting Tray, Roaster Pan, BBQ Trays 4pk & Foil Storage Containers 6pk. for ease of use, minimising mess and leaving more time to spend with family and friends. 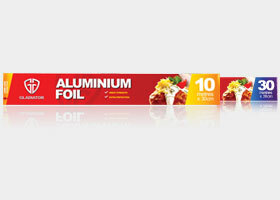 Range includes: (10m x 30cm) & (30m x 30cm) foils. a ‘stick & stay’ spot that helps you to find the start every time! 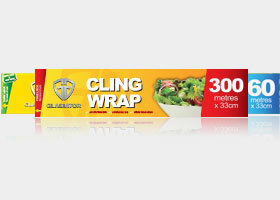 Range includes: (30m x 33cm), (60m x 33cm) & (300m x 33cm) cling wraps. 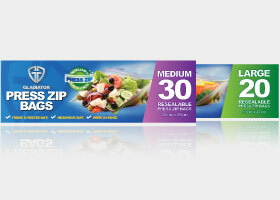 & Large Press Zip™ Bags 20pk.